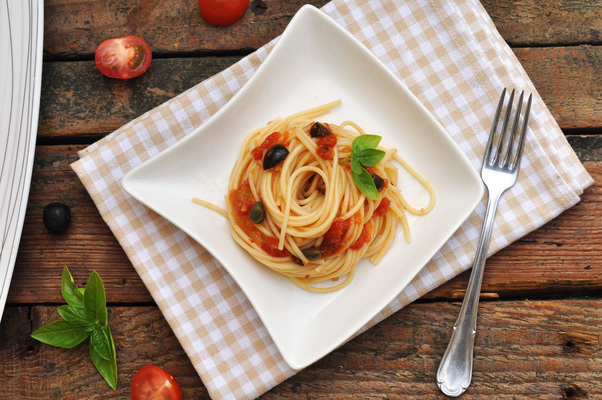 * Instead of fresh tomatoes and tomato paste, you can use one 400g can of chopped tomatoes. In a large pan, heat the olive oil over medium heat. Add finely onions, garlic, anchovies fillets and chili flakes and fry while stirring occasionally, until onions are softened and translucent, about 3-5 minutes. Add tomatoes, tomato paste, olives, basil leaves and capers. Bring to boil, then simmer on low heat for 15 to 20 minutes. Season with salt and pepper if necessary. Cook pasta according to instructions. Drain and pour into sauce. Stir until well coated, then transfer to serving plates. Serve immediately. 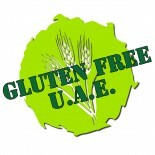 This entry was posted on 06/02/2012 by glutenfreeuae in Pasta & Gnocchi, Recipes and tagged gluten free, glutenfree, pasta.